Full Sling TV guide integration for antenna channels won't arrive until "early 2017." AirTV was one of the most intriguing cord-cutter products to debut at CES earlier this month. 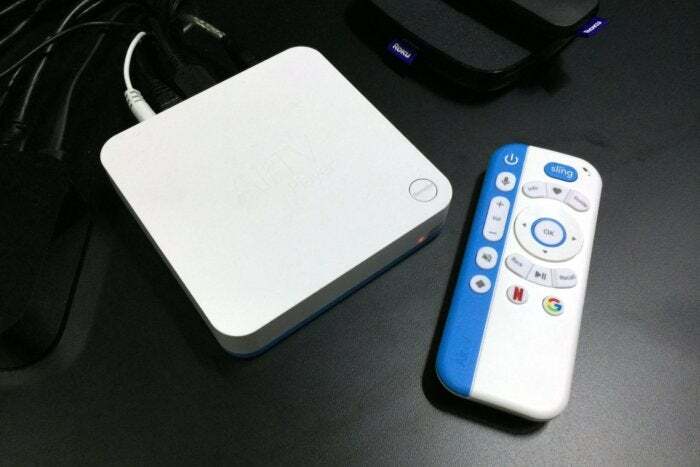 It's an Android-based set-top box that combines Sling TV streams and over-the-air channels into a single interface. AirTV started shipping immediately after its unveiling, while the company—a subsidiary of Dish Network, like Sling—demonstrated full antenna integration at CES. 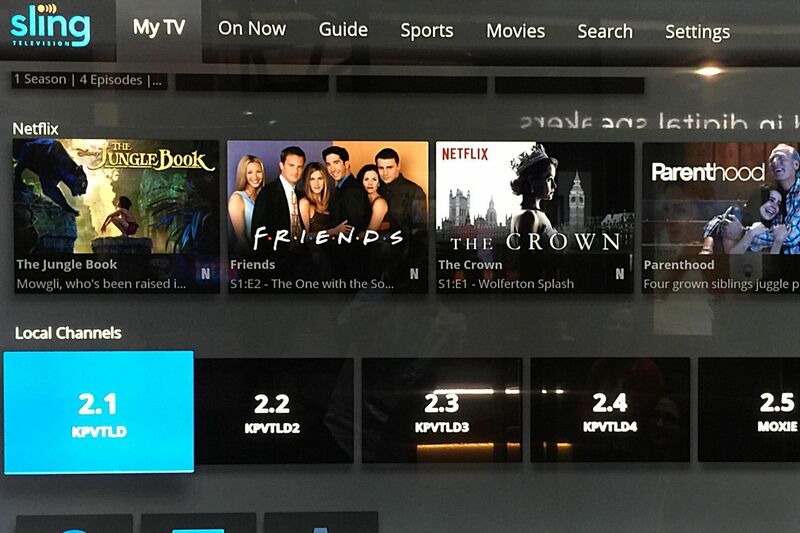 In AirTV’s demo at CES, broadcast channels appeared in a dedicated row on Sling’s main “My TV” menu, and alongside cable channels in the “Guide” view. Over-the-air channels could also be marked as favorites for quick access, just like regular Sling channels. AirTV’s CES demo shows broadcast channels on the My TV screen. 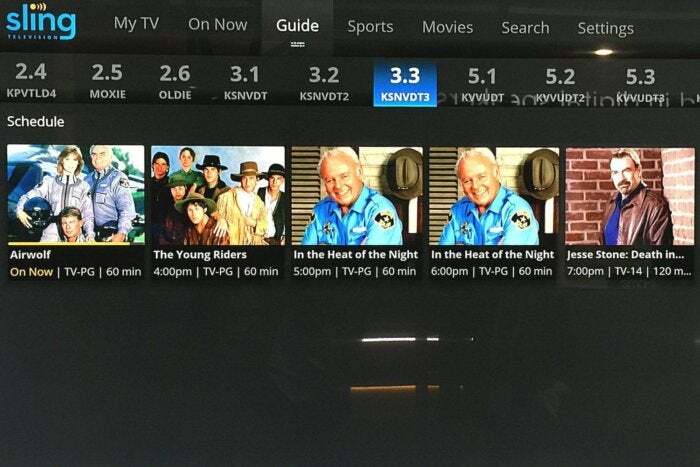 It also shows broadcast listings as part of the Guide view. That’s not how the product works today. 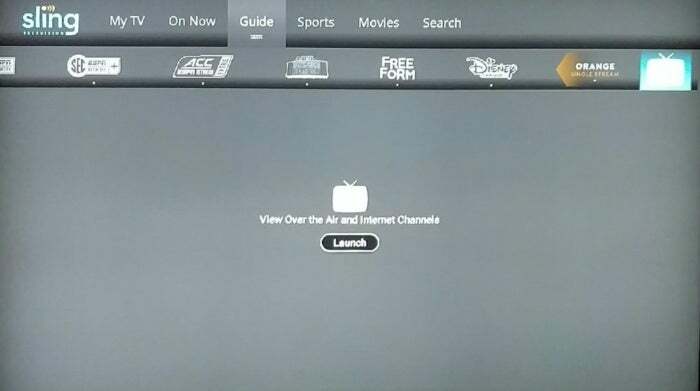 To access over-the-air channels, users must scroll to the Guide view, then scroll all the way to the end of the channel list, and then press a button for “Over the Air and Internet Channels.” Several Reddit users claim this merely links out to Android TV’s “Live Channels” app, a completely separate interface that does not display any cable channels from Sling. AirTV's current over-the-air integration is just a link to another app. In fairness, the lack of broadcast channel integration is only an issue for people who bought AirTV’s $130 streaming box and USB tuner bundle, rather than the $100 AirTV by itself. And either way, AirTV has other virtues beyond the broadcast channel integration. It also includes Netflix recommendations within the Sling guide, and its remote control has handy buttons for TV volume, power, the Sling guide, and channel recall. But with no clear release date for full broadcast TV integration, antenna-equipped cord-cutters might want to delay their purchase decisions. Why this matters: Although antennas can be a major source of content for cord-cutters, not everyone wants to switch inputs or interfaces just to access certain channels. AirTV came into CES claiming to solve the problem—and even suggested that a full-blown broadcast DVR would follow—but it seems the company hasn’t quite figured it out yet.